Many of history’s greatest inventions happened on accident. Microwaves, penicillin, Post-It Notes — innovators stumbled upon these million-dollar ideas by mistake. And so the story goes for Mirth Studio, the accidental brainchild of Sally Bennett. 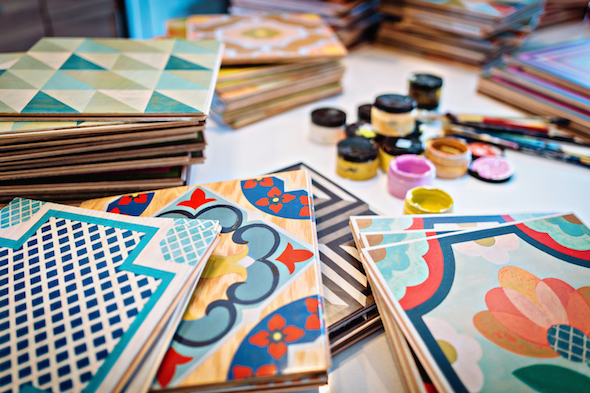 Mirth Studio manufactures colorful, patterned floor tiles — but, unlike any other floor tiles in the world, Mirth’s are made of wood. 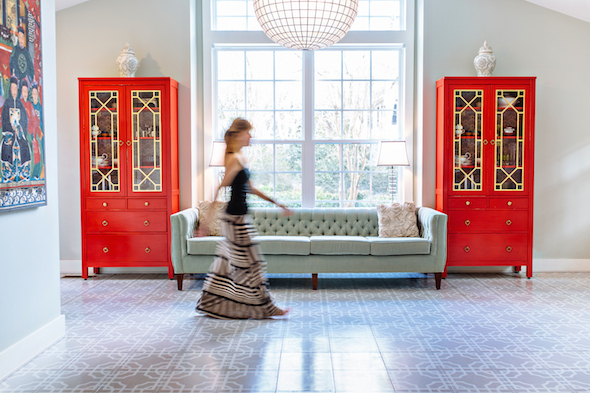 A former interior designer and decorative painter in New York City (think hand-painted ceilings and bright murals brushed onto the walls of well-to-do clients such as Tory Burch), Bennett and her family relocated to Charleston seven years ago. 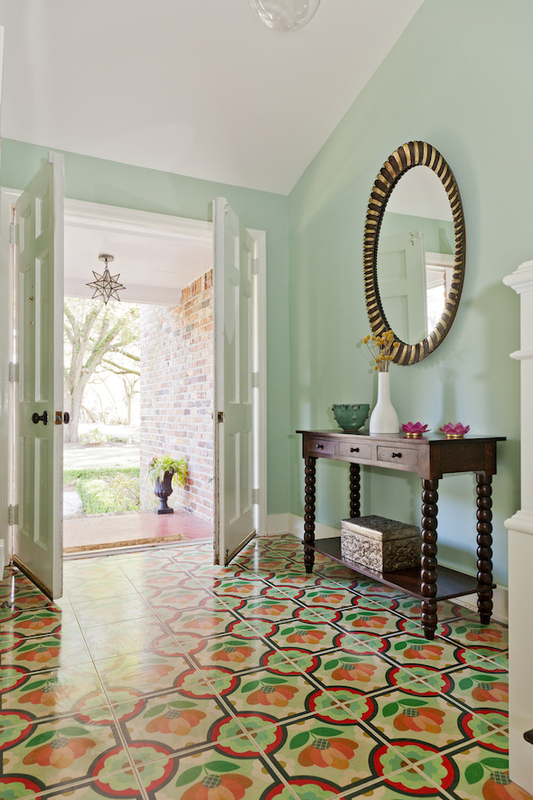 They purchased a fixer-upper in Riverland Terrace, and she immediately envisioned having hand-painted floors in the foyer. 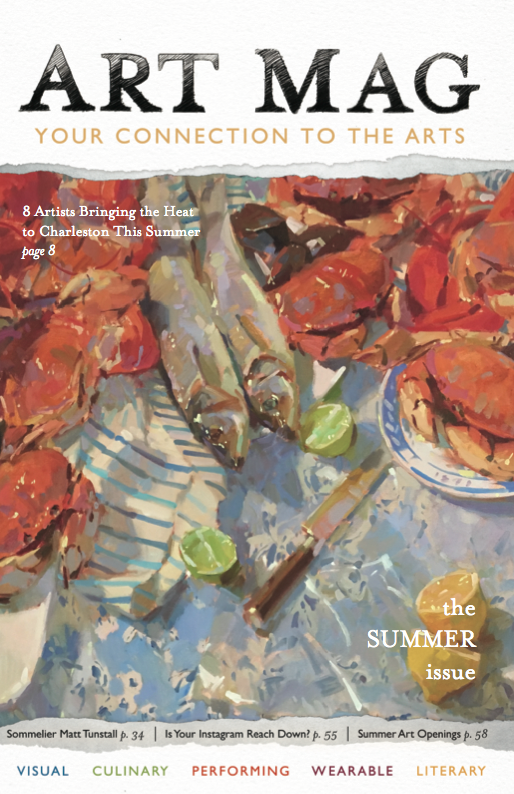 But there was a problem: Her recent back surgery meant hunching over to paint them herself was out of the question. 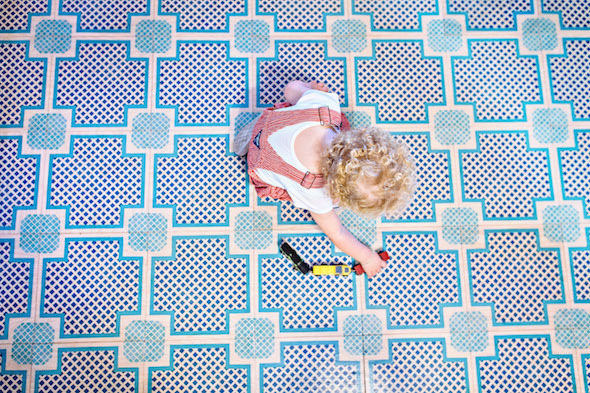 Bennett considered installing Moroccan cement tiles, but their rock-hard surface wasn’t exactly forgiving to fall-prone toddlers, and she had three little ones at home. Plus, she wanted the warmth of wood. She thought of enlisting a few interns from Redux Contemporary Art Center to paint her designs onto her foyer floor. And that’s when she had her eureka moment. 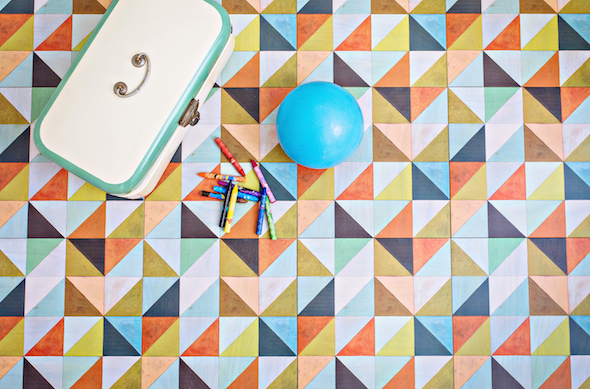 “It would be easier if I could just print my patterns onto wood tiles,” Bennett remembers. After some research, she found a manufacturer who would take on the job. She also made another discovery: There was no one else out there doing this. Mirth Studio was born. Three years — and hundreds of sought- after designs — later, Bennett has a better understanding of why Mirth is the only manufacturer of patterned hardwood tiles. 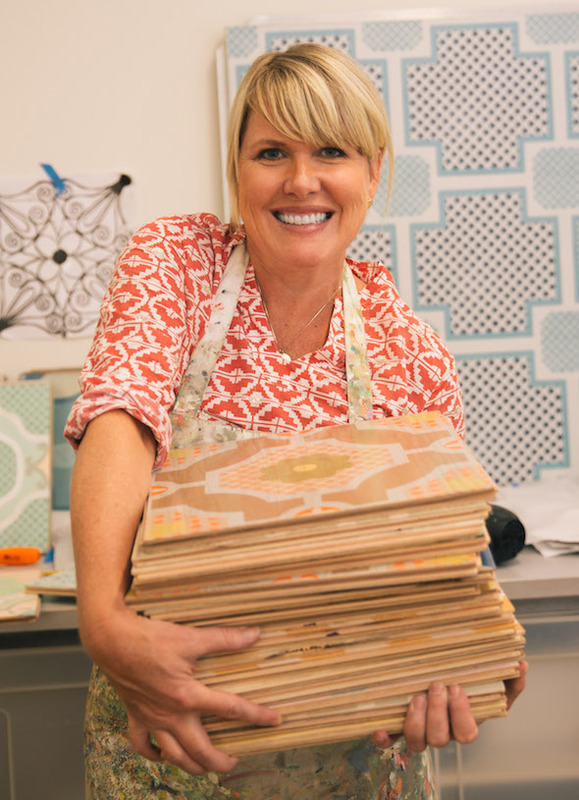 “The actual manufacturing of the tile is the most difficult part,” she says. “The tiles have to be perfectly square, and you’ve got to have the right equipment to do it.” The company relies on recent advances in printing and screening technology, and they ensure the tiles are durable with a proprietary sealing process. “We’ve had to learn a lot from our mistakes,” she adds. “Because we’re the first, there’s no book written on how to do this. We’ve experienced a lot of trial and error.” The “we” she refers to includes Bennett’s former nanny-now-office manager Crystal Muir, her assistant office manager Rachel Rheinlander, as well as Mirth’s manufacturing partners. Mirth’s tiles have been installed in houses across the globe, including the home of Zac Brown Band’s Zac Brown — who’s such a big fan he had them installed in his trailer, too. 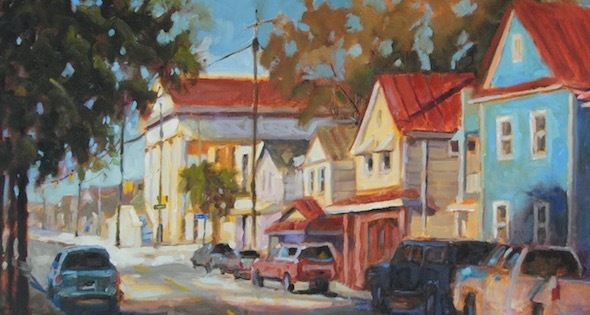 But to really see Bennett’s vision come to life, the best place to look is her own home. 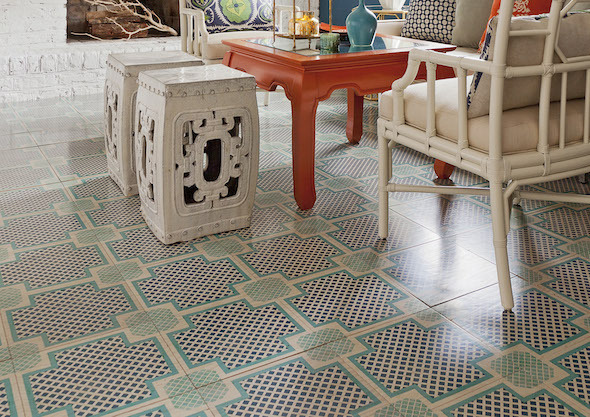 “Every single room in my house has our tiles,” she laughs. In the foyer you’ll find the Blossom, which has “a vintage-60s, somewhat Scandinavian feel,” Bennett explains. In the mudroom is the Palm Beach — a 60s-era-wallpaper-inspired design that “hides dirt well.” And in the master bedroom is the Peninsula, created using traditional Chinese design elements. With the success of Mirth Studio, Bennett is dreaming of more than just designs these days: She’s got the future of her company to think about. “My dream is to have everything under one roof,” she says, since the tiles are still produced by her manufacturing partner. She’s also recently expanded the Mirth Studio product line to include peel-and-stick decals for both floors and walls. 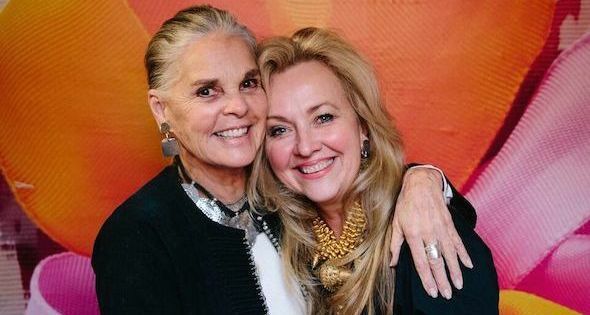 There’s good reason to have faith in continued growth and success — not only in Mirth Studio, but in the industry in general. 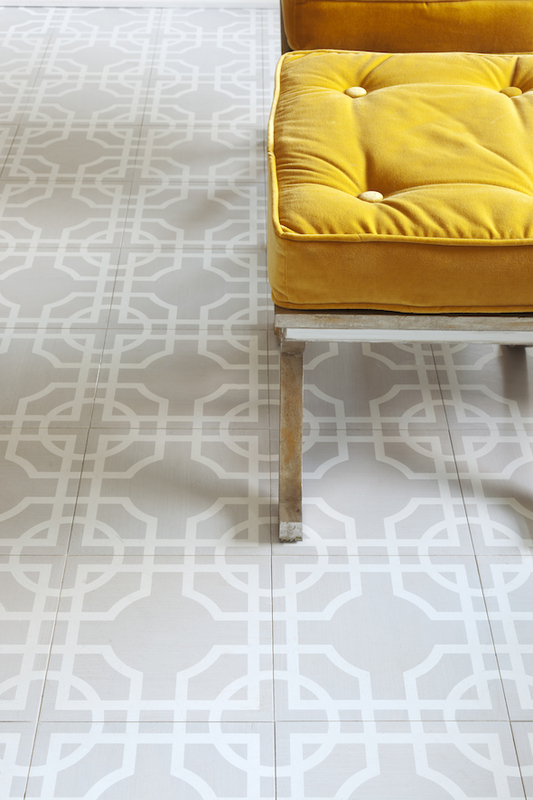 “Patterned flooring is taking off in the U.S. for the first time ever — even historically,” Bennett says. 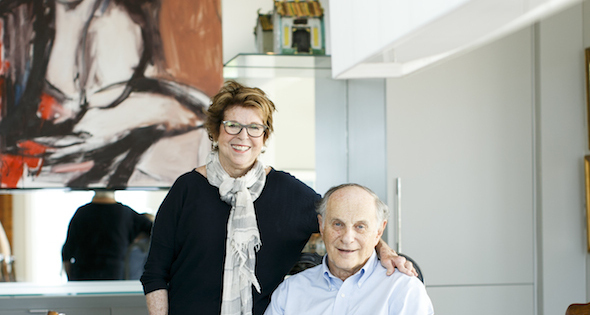 And as the first — and, for now, only — company of its kind, Mirth Studio has surely carved out its own place in design history. Posted in Mixed Media on April 12, 2017 (Spring 2017) by Matt Mill.